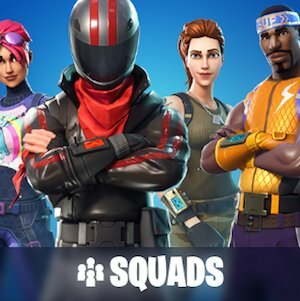 Gather up to 4 friends or random players and play Fortnite Squads! 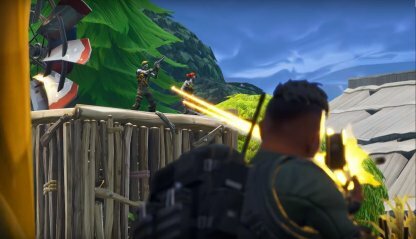 Here are tips for strategizing while waiting in queue, and playing the game mode to get the Victory Royale. Squad up and fight against other teams until only one squad is left standing! 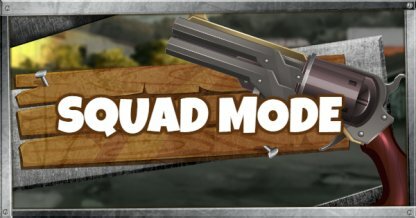 Squad Mode allows players to team up into groups of four or less and work together as they battle their way to a Team Victory Royale! Here are some things that a squad should prioritize in order for them to become the last team standing! Focusing your team's fire on a single target will increase the chances of a bullet hitting that target! It is recommended that teams fire at a single target to down those targets faster! Staying close to your team eliminates any danger of you being singled-out by enemy players! By staying close, it also helps you provide back up to your teammates who need help! A downed ally can drag your team down since the squad has one less member to contribute! 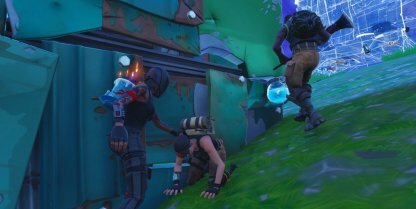 Remember that getting the Victory Royale tastes so much sweeter with all your teammates alive to share it with! Just like an ally, the team would suffer if you are not there to help in your own way! Remember to keep yourself so you can help out your team! 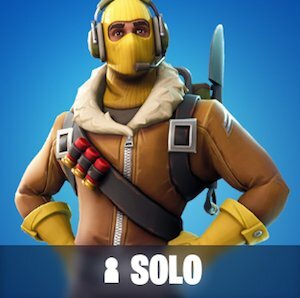 Having everyone in your team with a good loadout will allow your team to be able to face any situation during the game! Here are some things that your team should prioritize when gearing up! 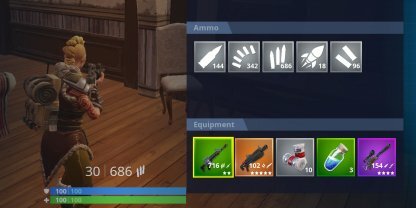 It is recommended that a player has 1 effective weapon for each range, at least 1 healing item, and maybe 1 utility item so you can adapt to any situation that happens on the battlefield! Got an extra mid range weapon? Share it with your teammates who need it! It will allow your squadmate to join you in focusing your fire onto a single target later on. This also applies for close and long range weapons. 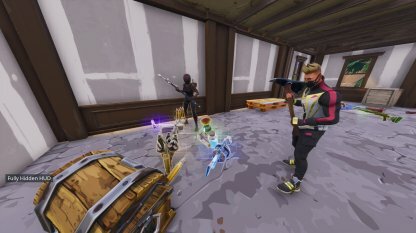 Sharing your items with teammates that have no shield or healing items will prolong them in the game. If you have any extra items, give them to teammates who need them and they'll thank you later. Don't all go inside buildings or houses. Have one come in first to sweep the area and once its clear, have three enter and one stay outside to keep a look out for approaching enemies. Share your items later after looting. Being close to each other when exploring the map helps members of the squad quickly react to sudden events such as ambushes. Here are some things to remember when exploring! If there is a danger of you or your team getting eliminated, it's not worth it. Prioritize the survival of your team and know when to engage and disengage from enemies. 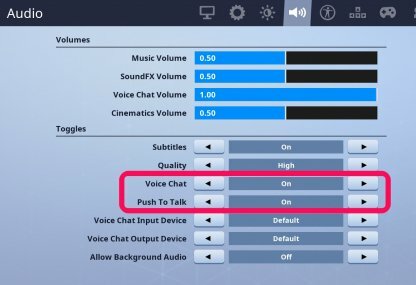 Communication is essential for teamwork so use the Voice Chat and talk with each other. Provide callouts, share your location at all times, and talk about strategies so your team can react faster! 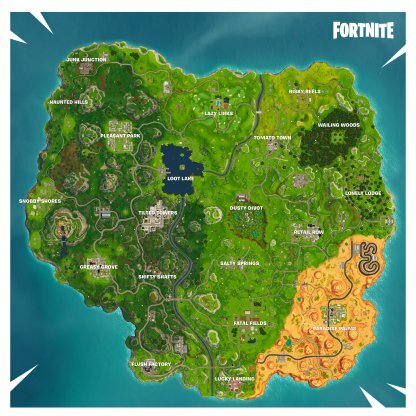 Fortnite's map is very big, you never know when or where an enemy team may be planning an ambush. 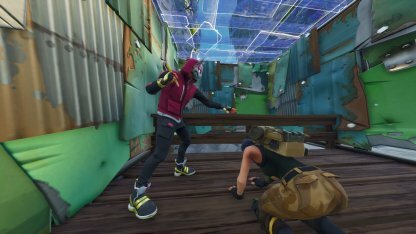 Here are some things you need to remember when exploring Fortnite's map! 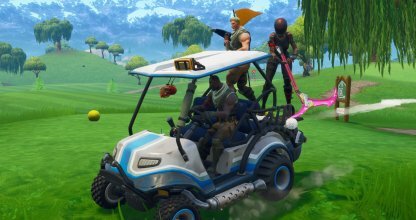 Vehicles like the ATK can seat up to 4 players, and help you move around faster. 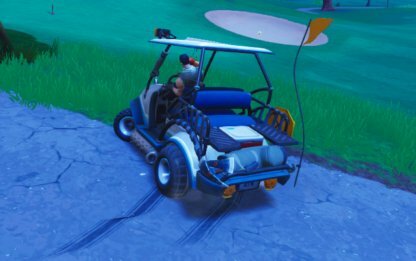 However, using the ATK is loud and can attract enemy teams. 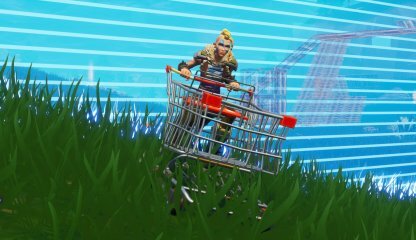 Weigh the pros and cons of the ATK before using it! 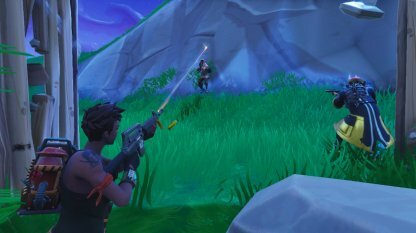 Staying near the edge of the Safe Zone will almost always guarantee your safety since enemies tend to go to the middle of the Eye. Try staying at the edge of the Eye and only moving to the center when the Storm starts to shrink! When the Squad needs to seperate, try splitting into groups of 2. This way, each member of the team has someone else covering their back and can provide assistance if needed! Whether your team likes it or not, you may need to engage other Squads in combat during the later phases of the game. Here are some things to remember when deciding to engage enemies in the endgame! Timing is essential to being able to come out on top of team fights. If you see two teams fighting, wait it out take advantage of the victor's vulnerable states and send them back to the lobby! Try to focus down on enemy at a time and knock them down. Remember that enemies who are down cannot shoot back and anyone who tries to revive them will be a sitting duck. Pressure enemies from different angles. Try to maneuver at each side of their location and fire at them from both sides. 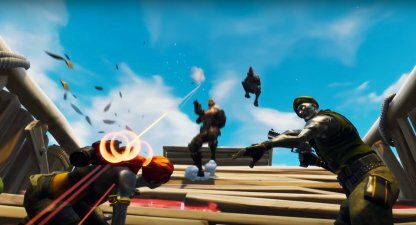 Don't eliminate enemies just yet as you can use them as bait. If someone tries to revive them, shoot down the enemy ally. Spread your manpower. Have someone make cover while the other members provide cover fire to keep the team safe without sacrificing the agro. 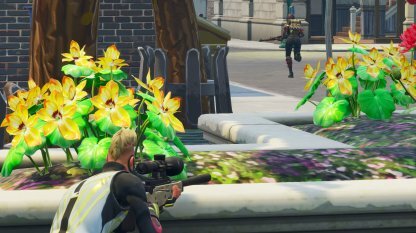 Surround yourself in sturdy cover before attempting to revive teammates. It won't do the team any good if you both get downed for risking a revival. 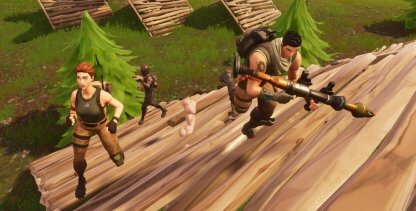 Playing with your friends to get the Victory Royale is a different and fun way to experience Fortnite Battle Royale. 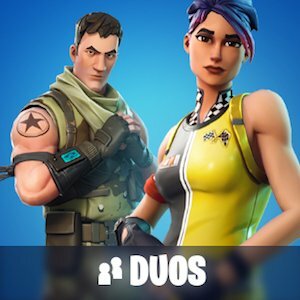 Friends who have a Battle Pass can also help you level up faster since they may give off bonus XP! 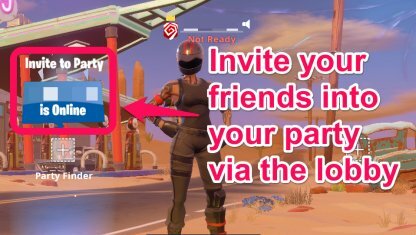 Send out "Party Invitation" to your friends so you can play squad mode together. You can also join the party of friends if someone else will act as the party leader. 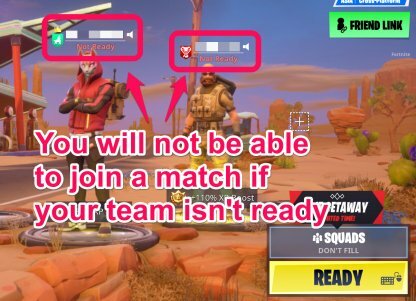 Make sure that all Squad members have clicked on "Ready" as you won't be placed in the match maker unless this is done! 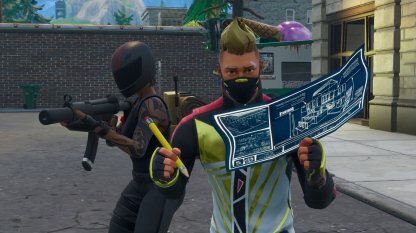 You can plan out your strategy for playing in Fortnite while waiting in queue. You can talk about where you're landing, who splits up with who, and more while waiting for the match to start!